Home cancer chocolat health health news healthy plastic SNICKERS worldhealthinfo 55 COUNTRIES NO LONGER SELL THEM: SNICKERS AND MARS CHOCOLATE BARS CONTAIN PLASTIC?! 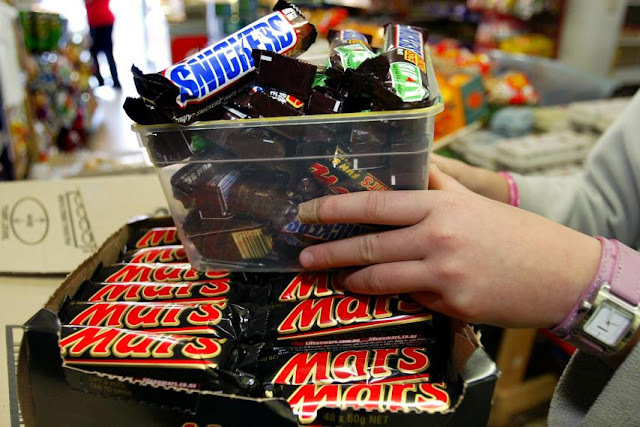 55 COUNTRIES NO LONGER SELL THEM: SNICKERS AND MARS CHOCOLATE BARS CONTAIN PLASTIC?! Other products that are ‘affected’ by pulling from the shelf are Minitaures, Milky Way MINI. The affected products have a shelf life of up to 06.19.2016 – 8.1.2017. On August 1st, 2016, Mars received a complaint about some red plastic pieces found in their chocolate bar. After that it was found that the German factory used plastic in the production process. The German company produces about 10 million chocolate bars and other candies a day.